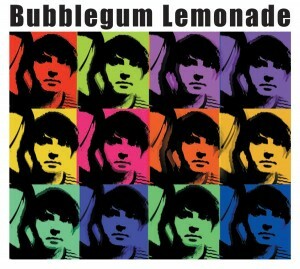 Fantastic debut album from Scottish pop favorites Bubblegum Lemonade! Following smash singles ‘Ten Years Younger’ and ‘Susan’s In The Sky’ earlier this year, the band delivers its all-important debut album just in time for holiday shopping and it’s a grand one of course! ‘A Billion Heartbeats’ kicks the album off with a 150 bpm adrenalin rush—if the Jesus and Mary Chain had studied anthropology they may have written something like this. Meanwhile, ‘Beautiful Friends’ is a paper thin celebration of surface beauty sort of like The Byrds' ‘Lady Friend’ re-written by the Valentines, and ‘I'll Never Be Yours’ is big chorus pop featuring Sandra from fellow Glasgow pop outfit Strawberry Whiplash on backing vocals. Think The Only Ones meets The Primitives with the recommended daily dosage of tambourines and you’re nearly there. ‘Tired Of Sleeping’ is a jangledelic ode to sleeping with the radio on, complete with multi-tracked 12-string Rickenbacker action straight from the early days of Creation or Cherry Red. ‘Last Time I Saw Andrew’ moves us into the ‘90’s with a lazy, looping, slow burning nostalgia somewhat like a cross between Slowdive and Black Rebel Motorcycle Club. It's dream pop-tastic. ‘Susan's In The Sky’ is the title track from Bubblegum Lemonade's second single. An everyday tale of an air hostess and her slacker boyfriend caught up in a Romeo and Juliet type scenario, it's a sunshine wall of pop with Rickenbacker guitars, tambourines and nice organ bits. A classic! ‘Penny Fountain’ opens side two of the album with some Paisley Underground inspired bittersweet guitar pop. It’s a swinging mini epic that should have been another single. ‘My Dreams Of You’ contains Rickenbacker riffs, harmony vocals and portamento keyboards. Catchier than Byrd flu, it’s west coast indie pop art and the perfect prelude to the sixties come down sunshine guitar pop with guitar freak out ending that follows in ‘Lost Summer Days’. Subliminally suggested by Vance Packard, ‘Here They Come’ masks criticism of the morally corrupt elements of the advertising industry behind jangling guitars and rich harmonies, while ‘Tyler’ is Rickenbacker pop about a cat. You don’t get many pop songs about cats these days, do you? Finally, ‘Last Weekend’ is some eighties sounding, major seventh acoustic strumming with strings and tambourine about the breakup of a long distance relationship. The band was going for Felt meets The Field Mice but ended up with Prefab Sprout instead. Ha! With an educated nod to its influences, remarkably catchy songs, and stunning pop melodies, Bubblegum Lemonade remind us that old school indie is always in style. ‘Doubleplusgood’ is a superb example of the vibrant new music coming out of Glasgow and another modern classic from Matinée!